Beginning the search of an apartment/villa online - whether it is a rental or acquisition - has become a common. The actual question is how to choose the right agent? A personal reference always comforts, but if you are on your own, it is better to choose from a 'big brand' such as REMAX 24's rental specialist who already manages a selection of rental accommodation. 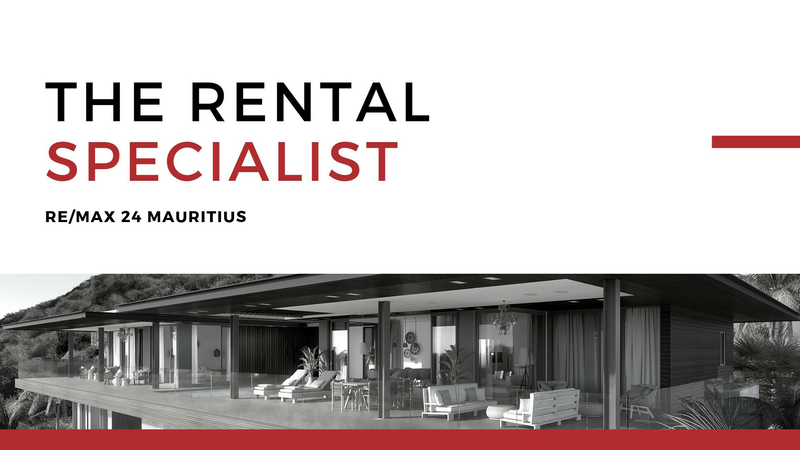 Location: If you plan to live in an unknown city, having a rental specialist on hand would be helpful - especially in a competitive market like Mauritius. Relocation to a new place: As someone who is unfamiliar with the areas, it is a major benefit to use the assistance of a specialist who spends their days searching for available properties. No time to do it yourself: If you cannot move to your next location until your move date or you have a hectic agenda, working with a rental specialist can help to prepare your moving. Renting a single villa: Not similar to residential apartment block where a syndic or property manager is usually on site, a single standing property can be harder to schedule visits. A rental specialist will have the right to enter the local listings and will know which properties are for rent. This will help to get you access in a suitable manner. Trouble scheduling a visit: If your calls and emails go unattended, or you do not know when to visit the property, it is the rental specialist job to ease this process. When a rental specialist is representing you, it is possible to schedule a visit after visiting hours and show that you are serious about your search. Whether you are an investor who holds numerous rental properties or a property owner who is keen to rent your property while you are abroad, you can facilitate the process by hiring the services of a good rental specialist. It is best to take advantage of an expert's knowledge to secure your next apartment or rental villa. The property-owners can have peace of mind from an expert to look after the lease and manage the property in their absence. After having made your decision, you will be asked to sign a rental mandate, which covers the agent's right to let the property on your behalf and clearly states the details of how the property needs to be management and the monthly rental. Remember, the rental mandate is a legal agreement between you and your rental specialist, so if you are not happy with it, you must not sign it. The fees charged by rental specialists in REMAX 24 Mauritius is equivalent to one month's rent when a qualified renter signs in. Call today to speak with a REMAX 24 Rental Specialist !